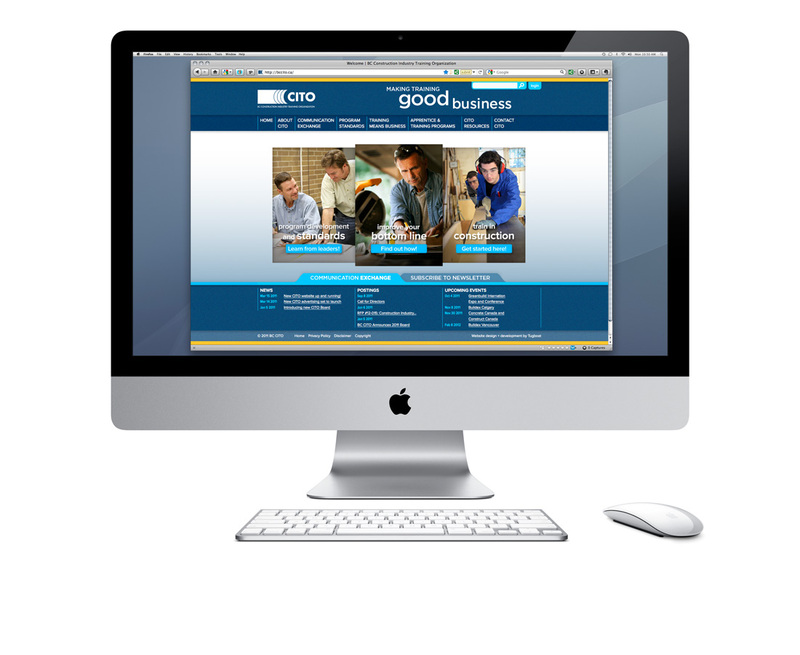 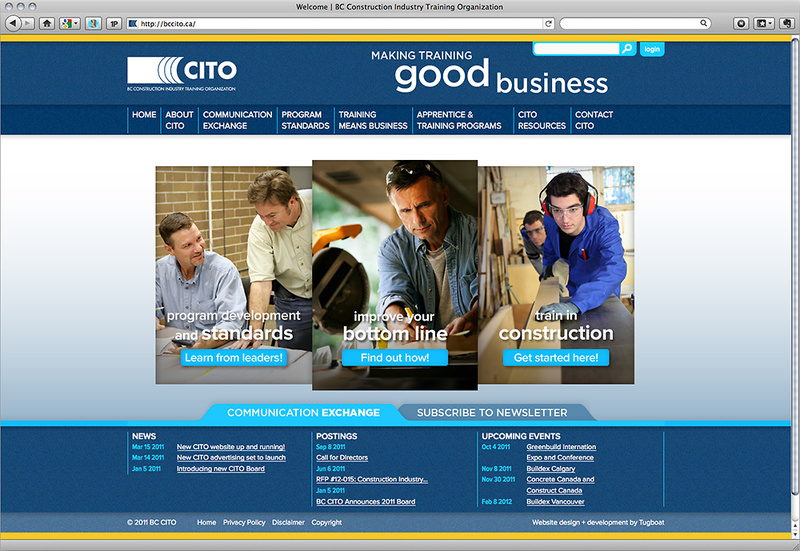 The BC CITO project is a refresh of marketing and collateral materials including a website aimed to broaden their awareness within the construction and training industries. 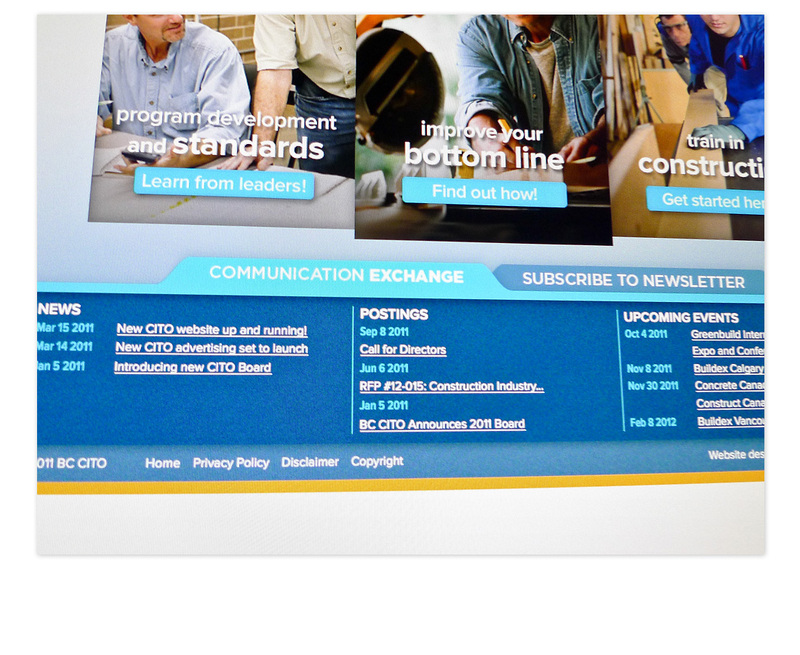 The goal of the new website is to be simple and quick to update, so that sharing information via the ‘Communication Exchange’ to share news, events and press releases out to industry stakeholders easily and efficiently. 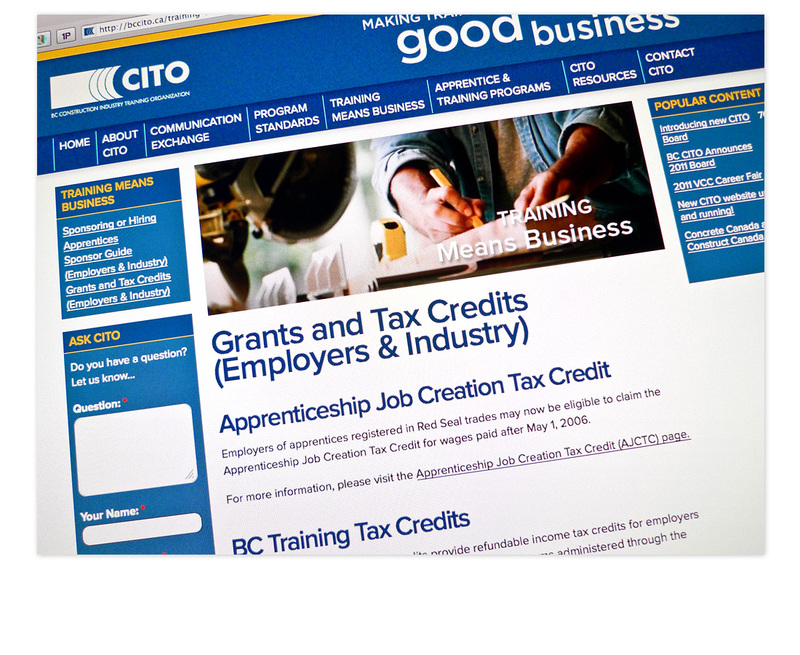 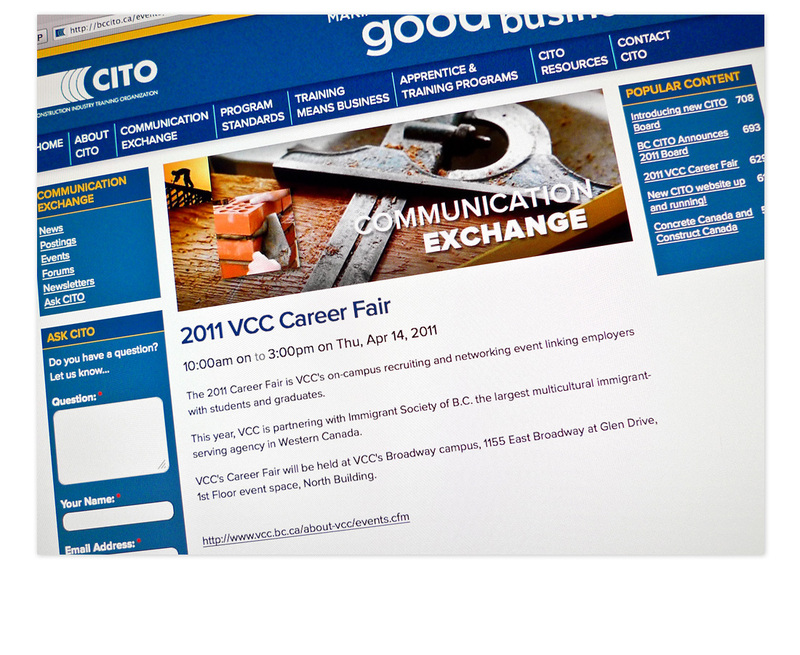 The BC CITO website frontpage showcases quick access to finding out more information about starting or advancing your career in the construction industry. 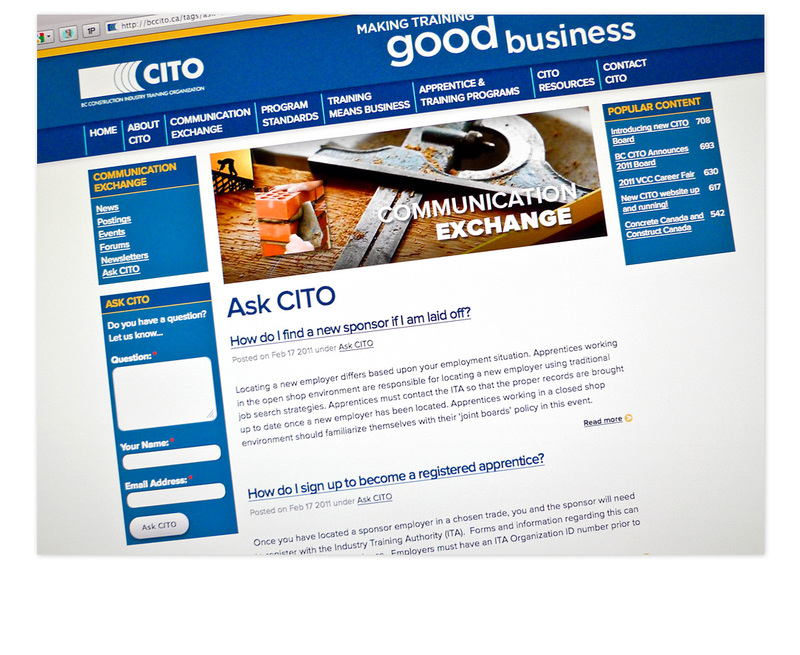 ‘Communication Exchange’ is one of the main premises at the core of the new website – sharing more information within the industry. 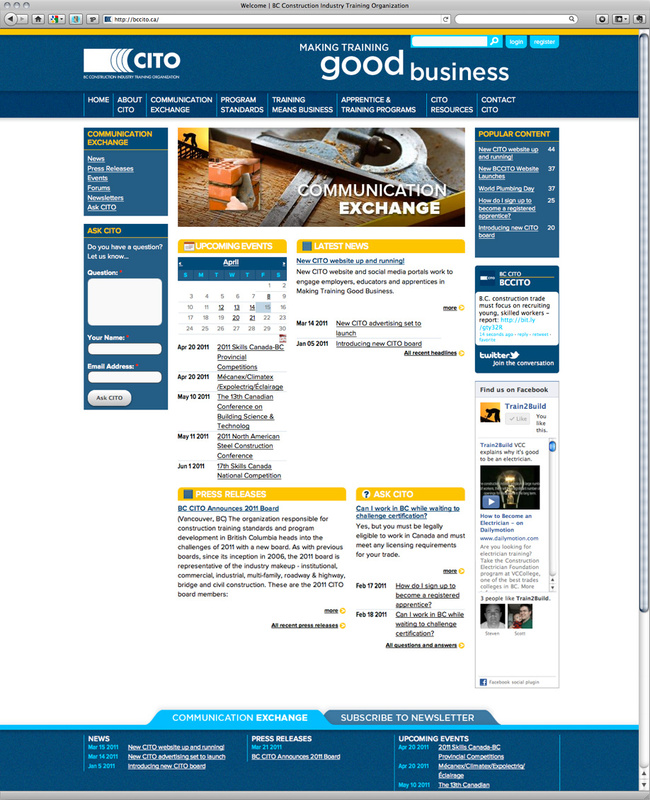 Detail of the Communication Exchange page. 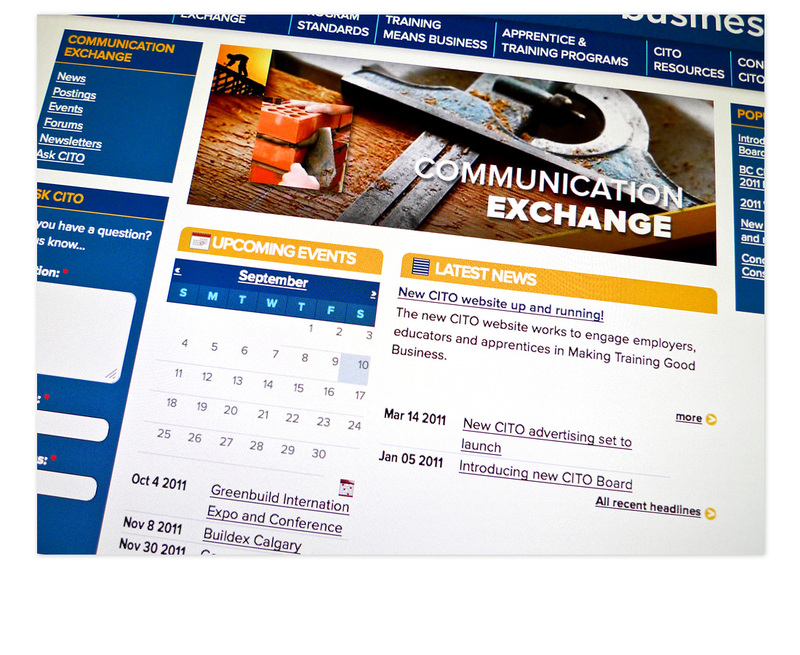 Overview of the Communications Exchange page; made to share upcoming events, news, press releases and an FAQ area.